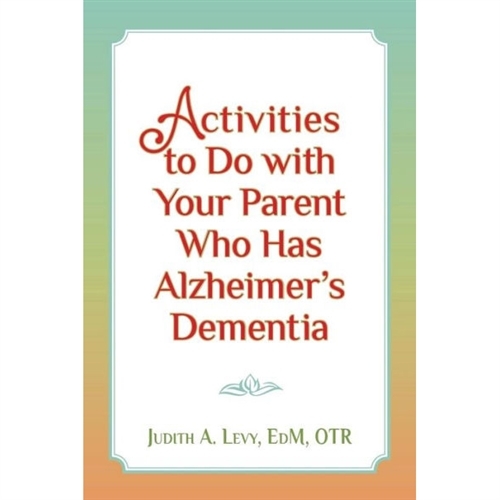 Activities to do with Your Parent who has Alzheimer's Dementia by Judith A. 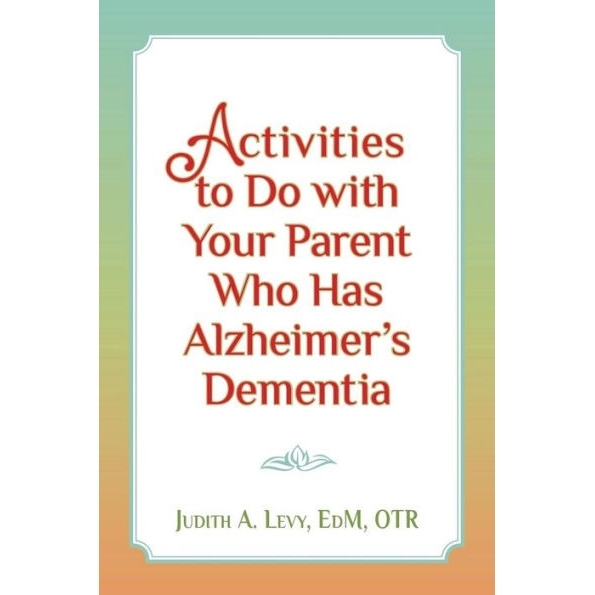 Levy EdM OTR provides a selection of user-friendly activities that will help maintain your parent's self-care skills, mobility, and socialization. These tasks encourage success and feelings of self worth, and offer imaginative ways to interact with your parent. The Activity Assessment Form objectively allows you to look at each of these tasks. It can help to determine the setup and environment that works best with your parent. This written format is a tool which also encourages consistency between caregivers. Judith A. Levy, EdM, OTR graduated from Sargent College of Allied Health Professions, Boston University, where she received her bachelor of science degree in occupational therapy. She is also a graduate of Rutgers University with a master's degree in Allied Health Education. She has worked for more than forty years as an occupational therapist. Her primary focus has been in the area of adult rehabilitation. She has established occupational therapy departments in community hospitals and has worked in acute-care hospitals, assisted-living centers, long-term care facilities, and home care settings. She has also spent time working with developmentally delayed children in institutions, school settings, summer camps, and home-based environments. Mrs. Levy has been an instructor teaching occupational therapy skills to home health aides as part of their certification process and has been a guest lecturer for a local college's occupational therapy program.